If you’re new to professional Call of Duty, this guide is for you. For the first time ever, the official Call of Duty pro league will be played on LAN. Starting April 21, the 16 best teams in the world will travel to Columbus, Ohio to compete in the inaugural season of the Call of Duty World League Global Pro League. While competing for $700,000, the best players in the world will do battle on seven different maps, which make up the 11 game mode combinations in professional Call of Duty: Infinite Warfare gameplay. The three game modes that will be played in the CWL Global Pro League are Hardpoint, Search and Destroy, and Uplink. A few of the maps are used for multiple game modes, but in total, there are four Hardpoint maps, four Search and Destroy maps, and three Uplink maps. Infinite Warfare is played in a variety of virtual locations. 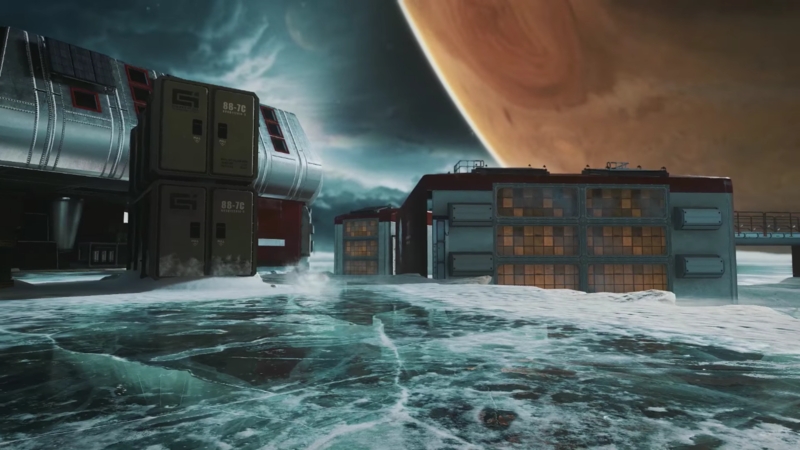 From Earth to distant planets and moons, the CWL Global Pro League will showcase some of the most unique maps in Call of Duty history. This guide will break down all of these maps based on the competitive game modes played on them. Throwback is the only map in Infinite Warfare that all three game modes are played on. This map is based on a “1950s style main street USA locale,” and features several different unique angles for gun fights. 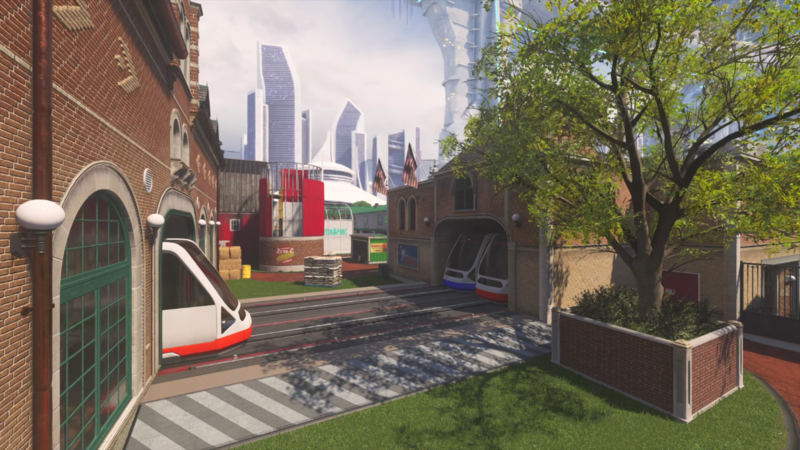 The first Hardpoint location on Throwback is in the middle of the map on the train platform. Then, the location rotates to the barn, followed by under the bridge on bike path, and finally the baseball field. These four locations will continue to cycle in that order until one team reaches 250 points, or until time runs out. The baseball field is an extremely important Hardpoint that usually features the most action. Both teams generally contest control of the Hardpoint at the same time on the other hills. But, an early rotation and proper setup on the baseball field is crucial to winning this game mode. In Search and Destroy, the A bomb is located under the bridge on the bike path, while the B bomb can be found beneath the silo connected to the barn. Most teams rush the A bomb site, as snipers have a good line of sight from the top of the bus. In Uplink, one portal is located behind the hot dog stand near the baseball field, while the other portal can be found in the farmer’s market behind the barn and grandma’s house. Going toward the hot dog stand portal is probably the favored side, because most teams run a play where they throw the ball from mid towards bowling to attempt a quick score. 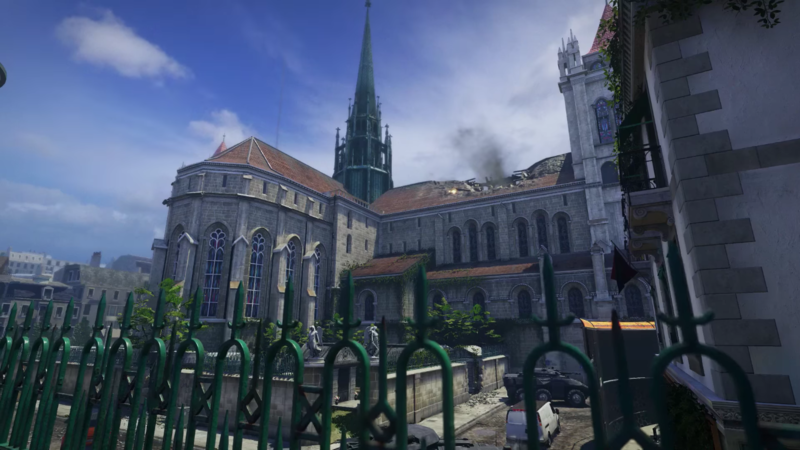 Retaliation is described as “a classic-style map set in ravaged Geneva during the thick of the SDF invasion.” This map has an array of locations fit for close-quarters combat, as well as a few long lines of sight. The first Hardpoint location on Retaliation is on top of the bridge. Then, the location rotates to the lower street outside of the bike shop and market stairs, followed by the graveyard, the broken building, and the hotel hallway. Proper rotations and anchoring are essential on this map, especially on the graveyard and broken building Hardpoints, which are basically on opposite sides of the map. In Search and Destroy, the A bomb is located on the graveyard end of the bridge, while the B bomb can be found on the lower street outside of bike shop and market stairs. B is definitely the favored bomb site, since teams generally try to get control of the lower street outside of the bike shop and market stairs as quickly as possible. As of April 17, Breakout Search and Destroy replaced Scorch Search and Destroy in the competitive playlist. This map is located on a snowy mountain top and is home to a maximum-security penitentiary. The first Hardpoint location on Breakout is on top of the central rooftop. Then, the location rotates to the cell block or jail, followed by the graveyard near cave and med bay, and finally the commissary in the back corner near the landing pad. Early rotations are also crucial on this map, especially on the cell block and commissary hills. Proper anchoring can make or break a team’s performance on Breakout Hardpoint. In Search and Destroy, the A bomb is located inside of showers, while the B bomb can be found behind med bay and the spiral stairs. It will be interesting to see how the meta on Breakout Search and Destroy develops, since this map was just added to the rotation. 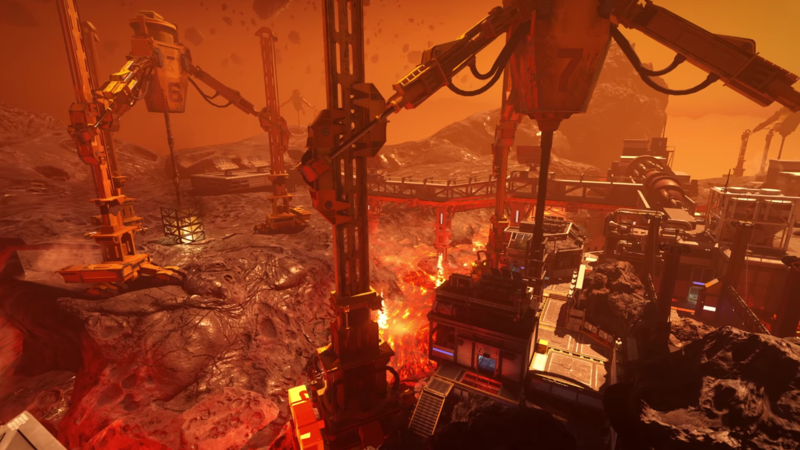 This map features warfare in space, with players battling it out in a mining facility located on the surface of an asteroid. 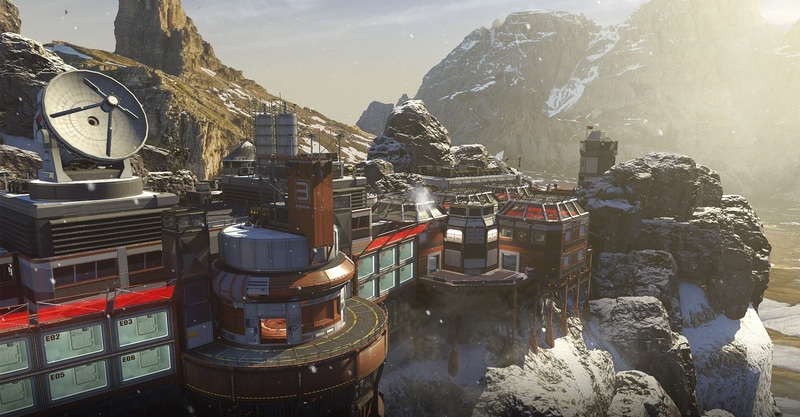 Since Search and Destroy on this map was removed from the CWL ruleset, the only game mode that is now played on Scorch is Hardpoint. The first Hardpoint location on Scorch is located on the middle “bridge.” Then, the location rotates to the turbine or back dirt, followed by the hangar operation or computers, and finally the drill. The turbine or back dirt hill sees a lot of action, mainly because there are several different entry points for teams trying to break into the Hardpoint. Along with the hangar operation Hardpoint, teams that control these two hills generally end up winning the map. 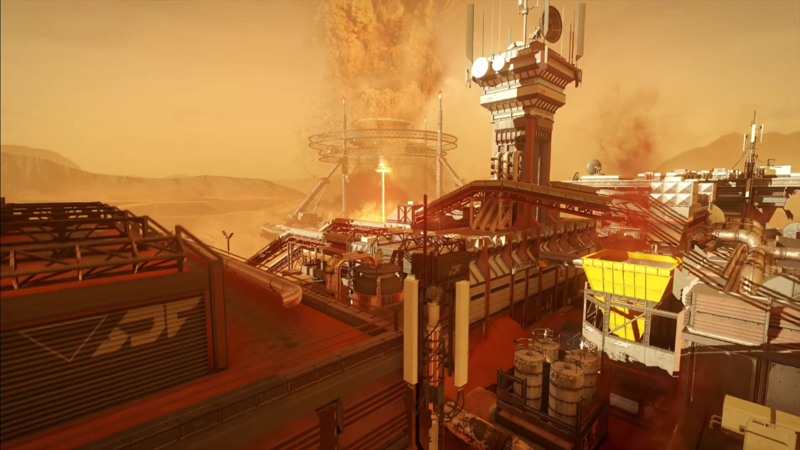 The trend of galactic warfare continues on Crusher, where players compete in a munitions factory on Mars. The only game mode played on Crusher is Search and Destroy. The A bomb is located inside of central processing, next to U and bridge, while the B bomb can be found on the end of the tower wall run closest to rock and maintenance. The meta on this map has changed a few times; at the beginning of the game, most teams favored hard A rushes, but now, teams are adapting and rushing B with more regularity. If the offensive team is able to get control of a bomb site on Crusher Search and Destroy, that team will usually win the round. The only game mode played on Frost is Uplink. One portal is located near the back landing pad outside of robotics, while the other can be found in construction outside of sub bay and blue. This is generally a low-scoring map, but the team with the ball tends to work for control of the robotics/ship hangar side of Frost. 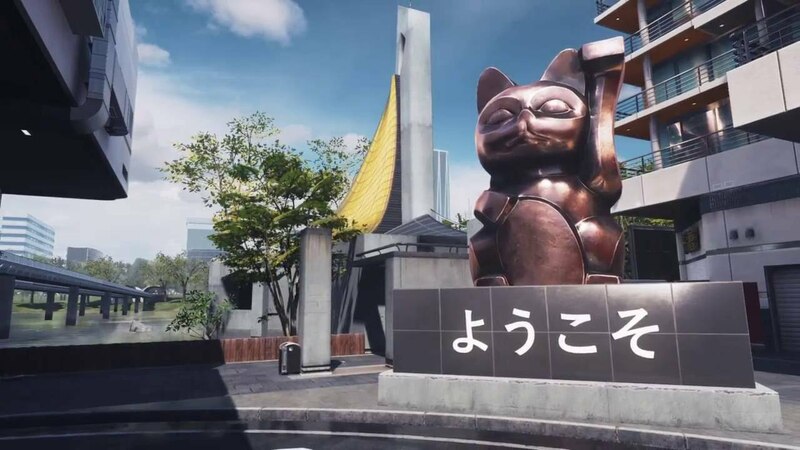 The final map in the competitive playlist takes the action back to Earth, in a small, futuristic Japanese town. The only game mode played on Precinct is Uplink. One portal is located on the street between the ticket building and gas alley, while the other portal can be found in the garden between restaurant, construction, and park. It feels like the team pushing toward the garden portal has a slight offensive advantage, as this team can get on a scoring streak easily by earning several consecutive kills.